The age group categories are classified according to DLO (German regulation of athletic sports) and the results will be drawn up on this basis. The relevant authorities have given their approval. Both the KVB tram line #1 and the bus station are just a few hundred meters from the start. Please use these options for getting there. There are parking facilities for commuters along the line, for example in Cologne-Brück! We urge you to use public transport or at least form car-sharing networks – in keeping with our environmentally friendly concept ‘RUN GREEN’. You can download travel information from our website - see the ‘Infos’ tab. Participation with a baby jogger is not allowed and due to the DLV’s (the German Athletic Sports Association) Regulations, the participant can be expelled from the event. Two class rooms in the school building are available for the storage of your bags. Please take care not to leave any valuables in your luggage as no liability is accepted. Please pick up your bags by 5 pm at the latest. Items that have not been picked up after this time will be given away to charity. Participants will be supplied with isotonic beverages (Dextro Energy) and water at the refreshment stands. Cola will be also supplied for the marathon runners in the second round at the refreshment stands 1-4 (see route plan) as well as at the Finish. are not a reason for not running at the Königsforst-Marathon. Four Dextro-Points (serving both Dextro-Energy drink and water) are in the forest and at the Dextro Energy Station in the Finish area. Half marathon and full marathon finishers will also be offered energy bars, dried fruit and nuts as well as a hot soup provided by the ASB. Marathon-runners will also be offered energy bars on the course. We also offer coke for marathon runners on the second lap. Starting in 2019, the one-time transponder will be used for the first time and will replace the previous chip. The change simplifies our work and you may save the rental fee. Each participant is responsible for the accuracy of their data. Please email all changes and additions as soon as possible to cologne timing Changes of personal data are only possible on site in the registration office by filling in the yellow correction form. You can change your race entry at our registration desk (in the Albertus-Magnus-Gymnasium School) on Saturday between 12:00 a.m. and 4:00 p.m. and on Sunday from 8:30 am until 20 minutes before the start of your race. Entries can be transferred to another participant for the flat fee of €10. Unfortunately, reimbursements of overpaid entry fees are not possible. Should your change of race entry be higher than the original entry, the difference can be paid in cash. 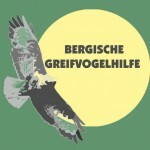 Our partner is the ‘Bergische Greifvogelhilfe’ (Bird of Prey Charity), located at the Königsforst in Rösrath. The logo for the finisher shirt and for the medal for the 45. Königsforst-Marathon on March 17th has a great woodpecker this year. This is not a coincidence…the TV Refrath Running Team, as organizer, supports this good cause - a rescue center for injured birds of prey and owls. We will donate 50 cents for each registered runner to Dirk Sindhu for his voluntary work on injured birds of prey. 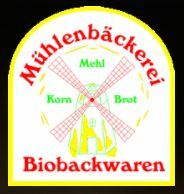 He is delighted to receive any support for animal feed and medical care for the mostly very rare birds from all over Europe. You can also give a donation for the ‘Bergische Greifvogelstation’ (Bird of prey Sanctuary) in Rösrath for the rescue of birds of prey on race day. On the day of the 45th Königsforst Marathon, a full-grown tame owl and Frieda the kestrel can be admired at the information stand on the school grounds of the Albertus-Magnus-Gymnasium in Bergisch Gladbach-Bensberg. The rented chips will be collected at the Finish by the volunteers. You can also hand in the chip at the registration area in the school Hall until 17:00. All white chips (late registrations only) must be returned. If you have a yellow rented chip (advance registrations only) and you don’t return it, it will be assumed that you are buying it and you will be charged the purchase price of €25 which will be deducted from your bank account. We will have an experienced professional commentator on site - Andreas Menz from Essen Website Menz who will be working under Jochen Baumhof from TV Refrath Running Team, the head of the organization committee. The course will be marked with sawdust. At crossings and exposed places signs will be positioned. Cyclists, course stewards and ASB staff will guide runners along the course. The time limit (or cut off time) for marathon runners is 5 hours and 45 minutes. The official cut off time is strictly at 17:00. This is a due to restriction of our authorities! The personal data provided by the participant during registration is stored and only used to carry out the event. By completing the registration process, a participant accepts the storage and distribution of their data for timekeeping, ranking and results. The participant hereby agrees, that the photos, videos and interviews recorded in conjunction with their participation in the event may be published without any entitlement to compensation. Moreover, the participant agrees with the forwarding of their personal data for the purposes of the sending of photos taken of them on the course and at the finish line, will be provided by a company commissioned by the organizer. However, the participant does not expressly agree to the purchase of such photos. Moreover, the participant agrees that personal data may be restored by the organizer for the purposes of sending a newsletter. Should the organizer be forced or obliged to make changes in how the event is carried out or in case of cancellation due to circumstances of force majeure, official requirements or security reasons, the participant will not be entitled to any compensation or losses from the organizer. The organizer reserves the right to cancel or interrupt the race in case of heavy storms/thunderstorms or other unforeseeable reasons. For these cases entry fees will not be refunded and the participant waives any recourse. In case of non-participation, entry fees will not be refunded. By completing the registration process the participant accepts the conditions of the DLV German Athletic Federation as well as the organizer’s terms and conditions in accordance with the invitation to tender. Participation is at the runners own responsibility and own risk. The organizer shall only bear unlimited liability within the framework of the statutory provisions and shall not assume any liability in case of accident, theft or other damages. The organizer as well as his legal guardians and assistants/subcontractors shall only be liable in case of deliberate and grossly negligent behavior. The organizer shall not be liable for health risks of the participant regarding the participation in the race. The organizer shall not be liable for the free deposit of any items. There is no right to a reimbursement of the entry fee. Bank charges arising from registration will not be reimbursed to the participant. 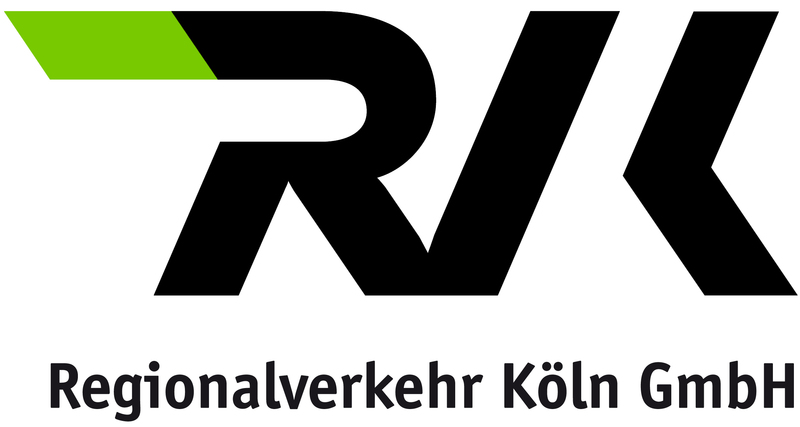 Participation with a dog is not permitted and may, according to the regulations of the DLV (German Athletic Federation) lead to exclusion of the event. All participants sign up binding. There is no right to repayment of the Entry fee for non-attendance. Charges for charge backs or contradictions charged to the organizer TV Refrath are claimed. An informative event brochure is available again this year which you can also download on our website by clicking ‘Ausschreibung’. 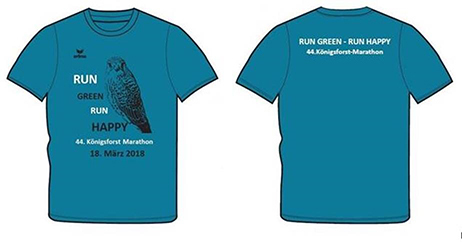 It will be available a few weeks before the Königsforst-Marathon. We aim to continue to improve our Königsforst-Marathon. We are grateful for any suggestions and criticism – and we are of course, open to getting any recognition and appreciation too! There will be a variety of food available in our buffet – such as cake, waffles, sausages as well as warm and cold beverages in the hall. If the weather is fine, the ‘Krombacher Brauerei’ will be on site with a promotion stand with free ‘Krombacher o,0%’ available as Pils and Wheat beer. This year you can order the high-quality Erima-shirt when registering online at a price of €17, available in all women’s and men’s sizes. The new great woodpecker-logo will be printed on your shirt. Pick-up place: AMG school on Saturday or Sunday. We will also print some additional shirts for those who decide to purchase last minute (while stocks last). The remaining shirts from previous years (with the red kite logo from 2016, the eagle owl from 2017 or the kestrel) can be bought on site for €10. Information: Please don’t litter your gels or other packaging in the forest - please dispose of them in one of the rubbish bins provided at the food or drink stations, or at home. Nature says, ‘Thank you’! There will be no hunters along the running path…only the forest and some personal best times! Residents will be informed with an information sheet and in the local print media. The Königsforst is the largest contiguous forest of the Lower Middle Terrace of the right bank of the Rhine. The highest elevation is the Tütberg which is 212m above sea level. The big circuit runs along the border of Cologne via ‘Wolfsweg’ starting at the water trample basin. You will climb to the highest point of Cologne: the Monte Troodelöh which is 118m above sea level, without even noticing it! The forest area (which covers an area of 30 square kilometers), lies next to the city districts of Cologne, Bergisch Gladbach and Rösrath. Our target is to reduce waste material to a minimum – see litter and ‘Run Green’. Please keep the course clean and litter free! We ask all runners in the Königsforst Nature Reserve not to litter (according to the EG-directives ‘Fauna-Flora-Habitat’) and to make sure you throw your Dextro paper cups and your drinks and food packaging into the rubbish bins provided or to take it back home. Please don’t throw your rubbish on the course or in the forest – abide by the public authority regulations! Be environmentally friendly to match our concept ‘RUN GREEN’. Thank you very much for this in advance. will be kept for a maximum of two weeks. After that date, the clothes will be donated. For inquiries please contact us using our online contact form. In the past, we had different finisher medals with motives of the native landscape. We have been awarding very attractive medals since 2016 - last year it was the kestrel medal, the year before the owl medal was the highlight. In 2019, it will be a great woodpecker. 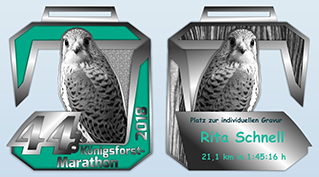 The new Köfo-medals are now popular collector items. The medals will be distributed to the half-marathon and marathon finishers at the Finish, but not to the runners of 5 and 10 km. Bernd Korting of ‘my Laserdesign’ will engrave your name and your target time on the reverse side of your medal in the school on your request. You can also reserve this service when registering online for the price of €8. Our media partners are Bergisches Handelsblatt' and the following online services: Laufen in Köln, Laufmonster, Laufen im Rheinland, Marathon4U and Laufreport. are measured with a time keeping transponder when running over the start mat. Gross times are used for the result lists and award ceremonies. Net times are important for sports club runners as they count for the top runners list (single and team classification). For all other finishers net times are just for information purposes in accordance with the DLV-guidelines. E-mail addresses will not be passed on to any third party and shall be used only to keep you updated with our news. All entry fees are non-refundable in the case of non-participation. can be done on this website: Registration until Sunday, 10th March. Registration can also be done on site on Saturday, 16th March from 12:00 to 18:00 and on Sunday 17th March up to 20 min before the start of your race. With my registration, I declare my agreement to the organization guidelines as well as my readiness to follow all stewards’ instructions. The state of my training and health condition conforms to the requirements of the running races. I assure not to claim any legal standards and demands towards the organizer as well as towards his assistants or authorized representatives or concerned communities and other persons or corporations as far as there are no rights of liability insurance. We are not going to deduct the entry fee if your registration can not be accepted. Certified herewith I agree to the match regulations of the announcement and the liability exclusion. Top quality prizes will be presented to the first three (in the Half Marathon) and top six finishers (in the Marathon) of the overall standings (first male and female runners to cross the finish line) as well as for the Age Group winners of all age classes in both the half-marathon and marathon. All awards will be presented personally to the winners and will not be dispatched. Our awards ceremony will take place on the podium in the prize giving hall shortly after each respective race. *All Age Group winners can collect their trophies and awards at a separate stand in the prize giving hall. Neither trophy money nor entry fee refund shall be awarded. Advance registrations must be done online via the registration portal on our website, except for Bensberg Schools. Late registrations can be done on Saturday, 16th March from 12:00 a.m. to 4:00 p.m. and on Sunday 17th March from 8:00 onwards in the school, up to 20 minutes before the start of your race. Online registration closes on Sunday, 10th March. After that, late registration on site is possible on Saturday, 16th March and Sunday, 17th March. See Registration and start documents. 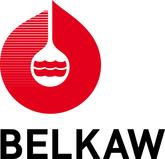 The results will be available on this website LIVE during the event under => results 2019 Results of the previous years and details of the former winners are also available on the website. All the running courses will have no traffic and will mostly be on firm forest tracks with some parts on asphalt (such as the street leading from the start to the forest border (780 m) or the ‘Rennweg’ in the heart of the Königsforst). The hilly asphalted footpath and cycling track along the road towards Forsbach is 2.3km long. Please do not run on the road, only on the footpath! The rest of the running course will lead you along wide paths through the forest – which, by the way have been used since 1973! Showers and changing rooms are available in the ‘Albertus-Magnus-Gymnasium (AMG)’ school which is located at the start and finish area. We would like to take this opportunity to thank all our kind sponsors and partners in this event. Please do not fold your start number. It should be attached to the front of your running shirt. 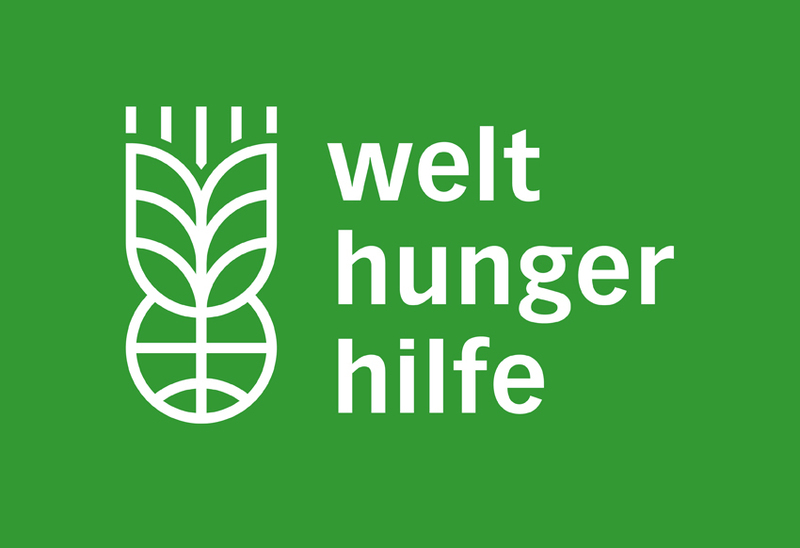 Start numbers can be collected on Saturday, 16th March from noon to 4pm in the Albertus-Magnus-Gymnasium School, Kaule 3-15, 51429 Bergisch Gladbach-Bensberg and on Sunday from 8:30am. It is not necessary to have a DLV start pass except for the valuation of the district champion chip. Members of an associated sports club who own a valid start pass can be added to the official top runners´ lists on District-, Federal State- or DLV level. Some streets around the Albertus-Gymnasium School will be partly or completely closed in accordance with agreements of the Bergisch Gladbach city council. Please follow our stewards’ instructions. Parking fines shall be issued in case of parking violations. For the 10 km, half marathon and marathon, three runners (male and female) will be scored officially for the team classification. However, a prerequisite is that the spelling of the club, company name or name of the team is to be 100% the same. Teams will not be awarded prizes. There will, however, be results produced for the top runners’ lists. In 2019 the one-time transponder on the back of the start number will replace the previously used champion chip. As an organizer, this considerably simplifies the effort and saves the lenders the previously calculated 5, - Euro rental fee. Please do not bend the start numbers as the transponder could be damaged. Do not return the start number and can be kept as a collector's item. In addition to the toilets in the school there will also be toilets available close to the start and finish area. What a marathon finisher says at the Finish line. Please only mail the organization team if the answers to your questions cannot be found in this comprehensive list. If you find mistakes or would like to suggest changes we would pleased if you could email us at: Info Königsforst Marathon. Thank you very much in advance!